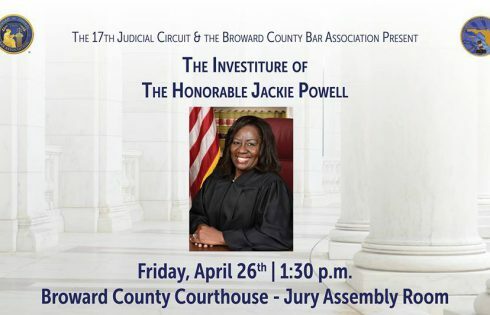 For more information and to register to attend, Click Here. 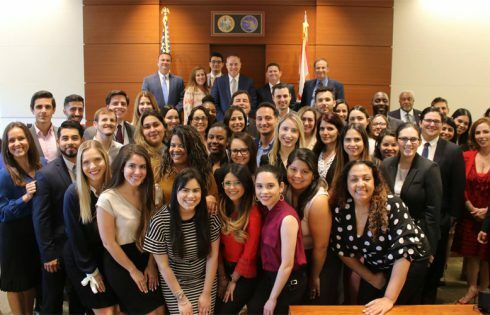 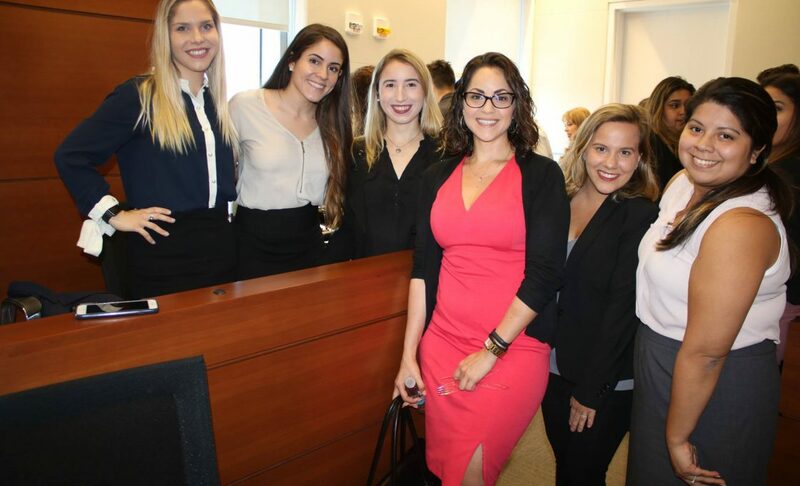 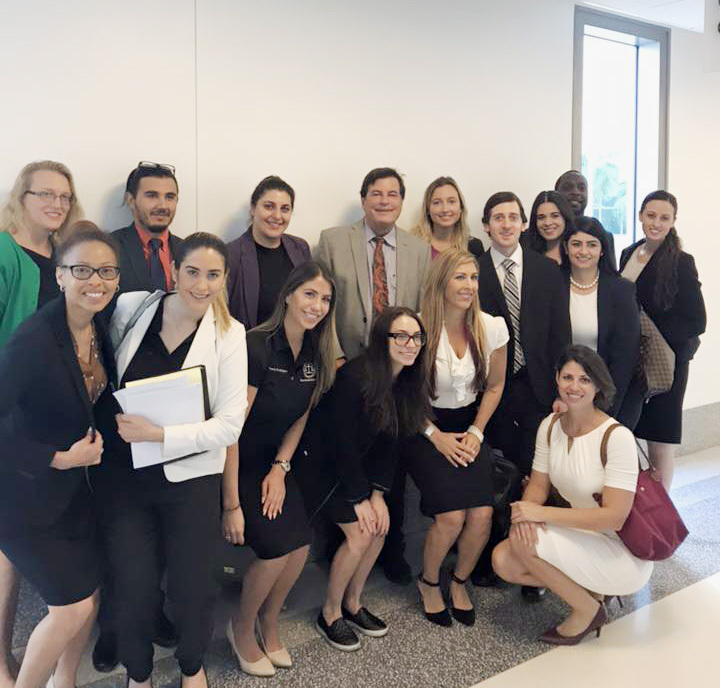 Judge Diaz held his 60th Street Law Mock Trial with Nova Southeastern University Law School earlier this month in the central courthouse. 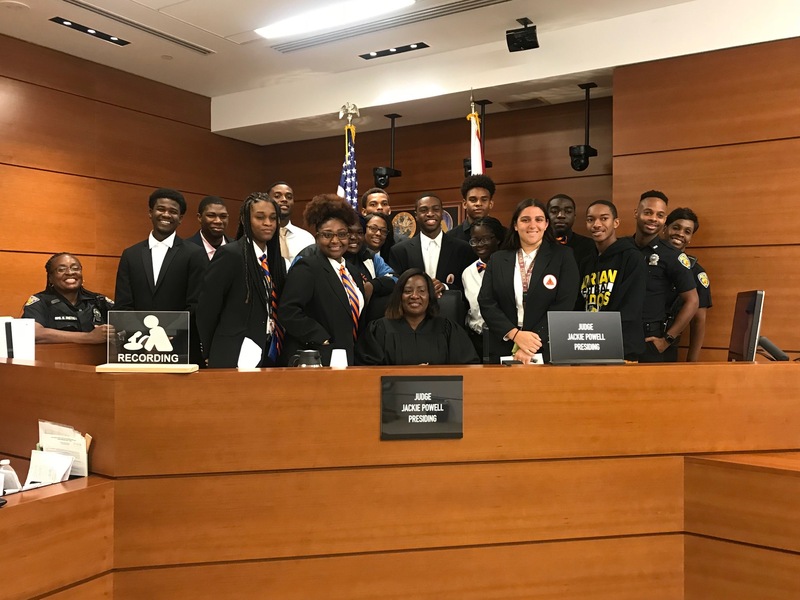 The focus of the event is to inspire high school and middle school students to become attorneys and further the noble profession. 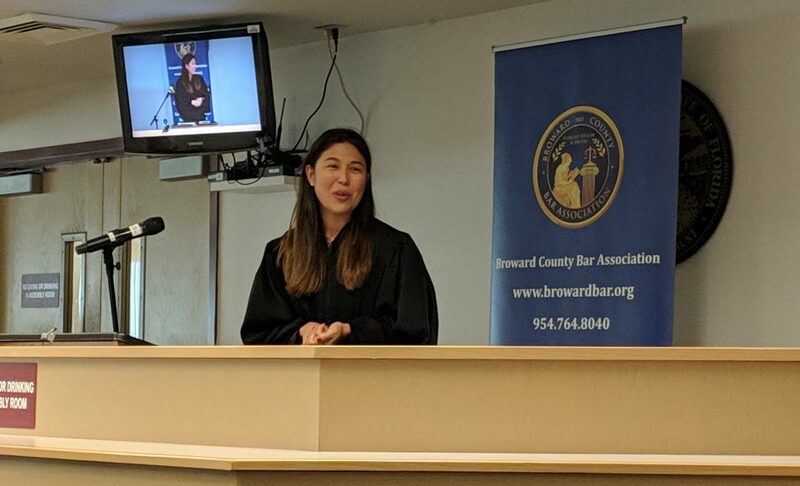 On Thursday, April 18, 2019, Judge Frink visited Embassy Creek Elementary School in Hollywood to speak to the students during Career Day. 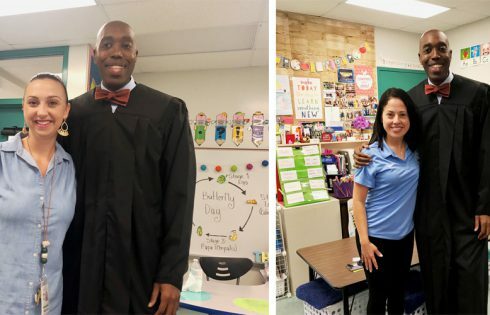 He is pictured here with 2nd grade teacher Ms.Harmell and 5th grade teacher Ms.Castillo. 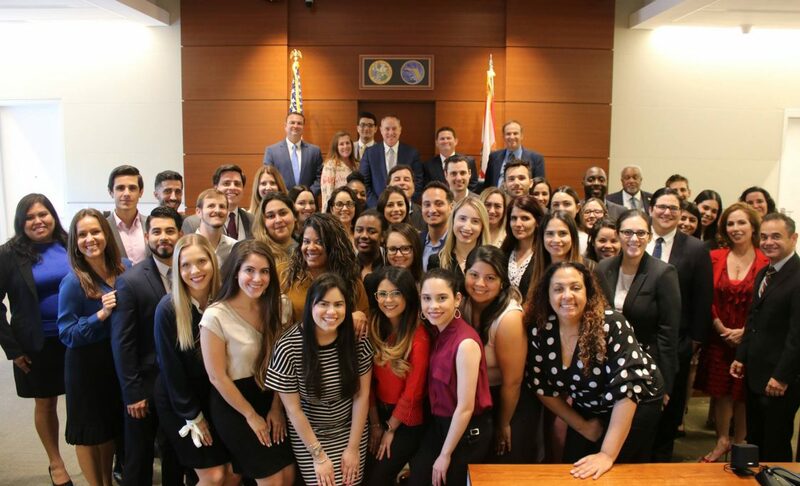 In early April, Judge Diaz hosted the 19th Annual Hispanic Student Bar Association Luncheon in the central courthouse. 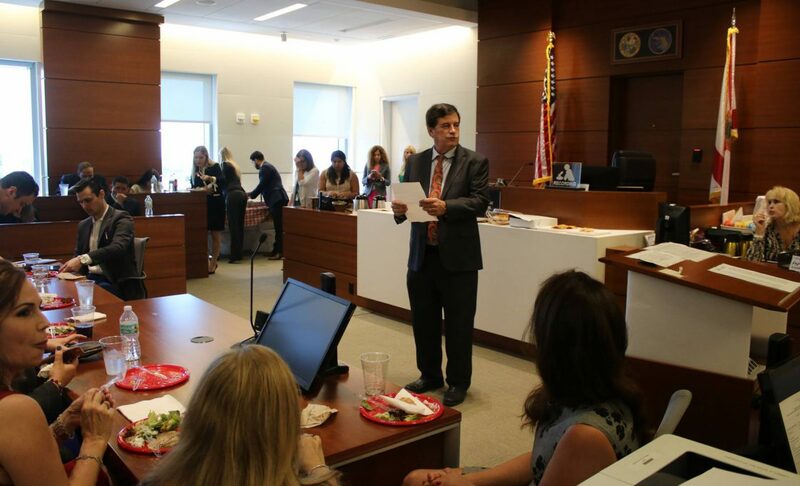 Twenty-five students and 50 lawyers and judges gathered to break bread and share personal experiences. 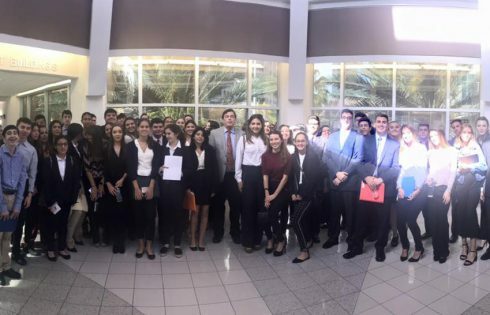 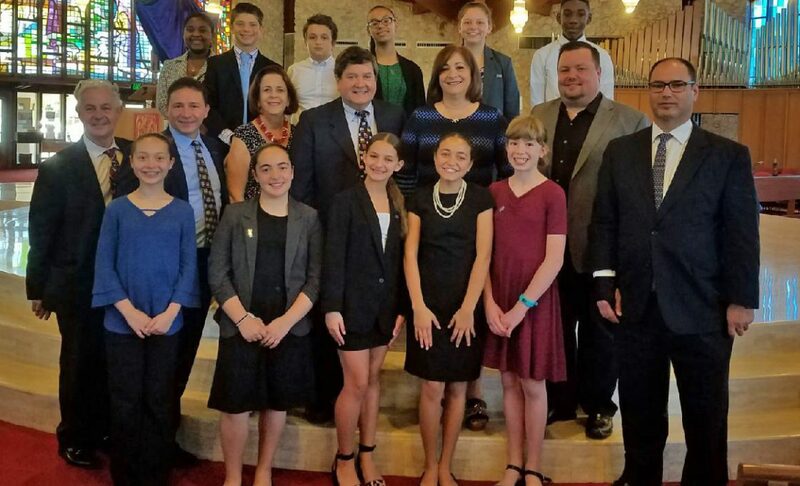 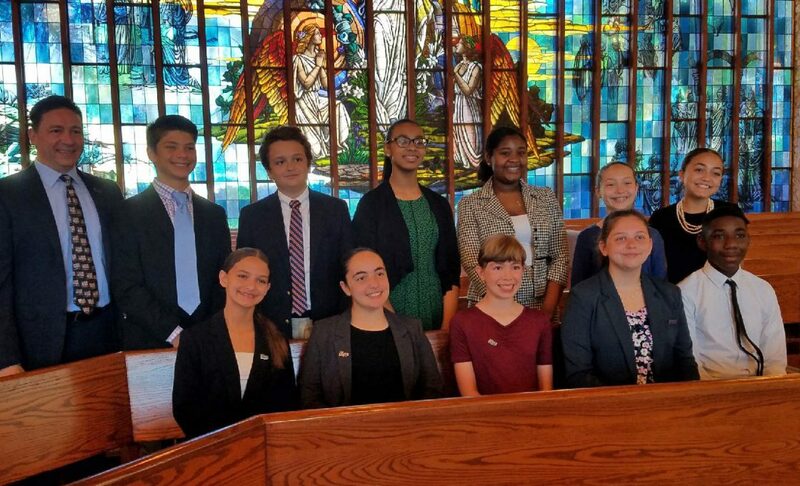 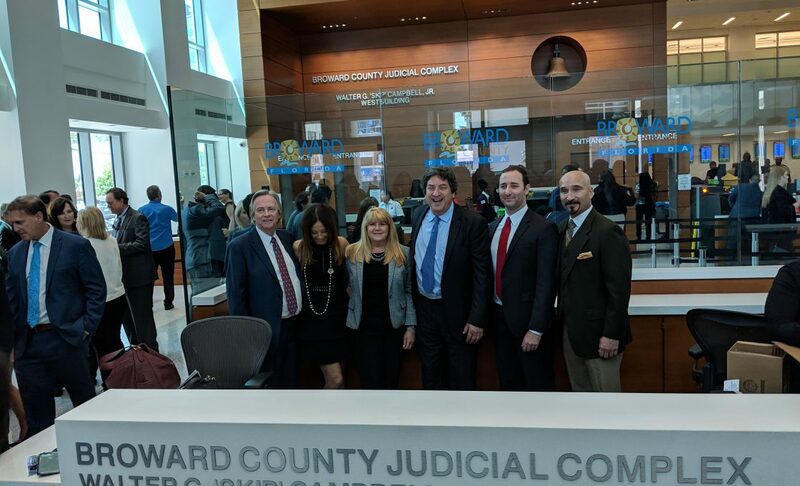 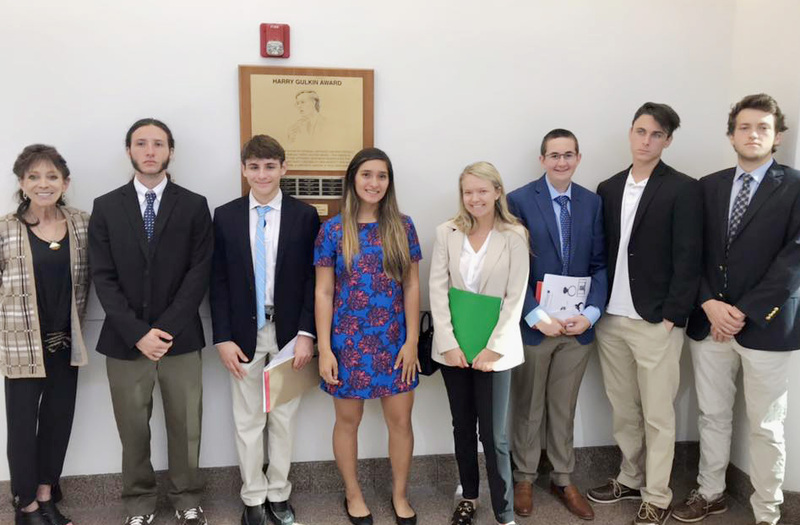 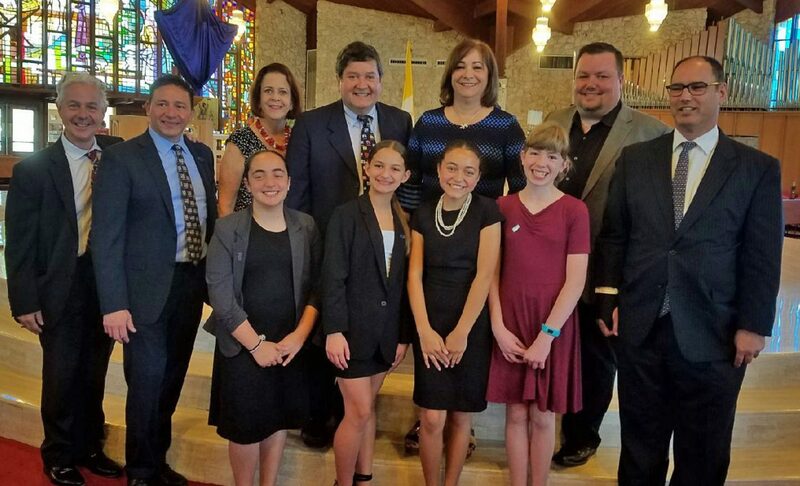 Last week, the South Broward Bar Association hosted the annual Law Day speech competition which was held at Nativity Catholic School. 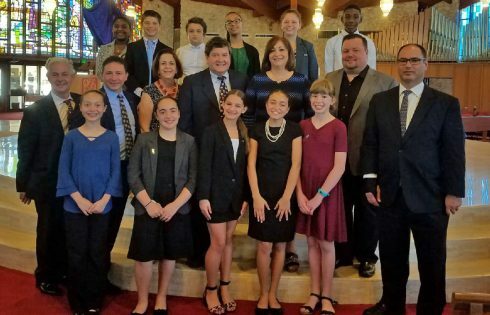 Judging the competitors were Judge Sharon Zeller, Judge Marina Garcia Wood, Judge Carols Rodriguez, Michael Rajtar, Victor Debianchi, and Ben Protano with Ken Hassett as Master of Ceremonies. 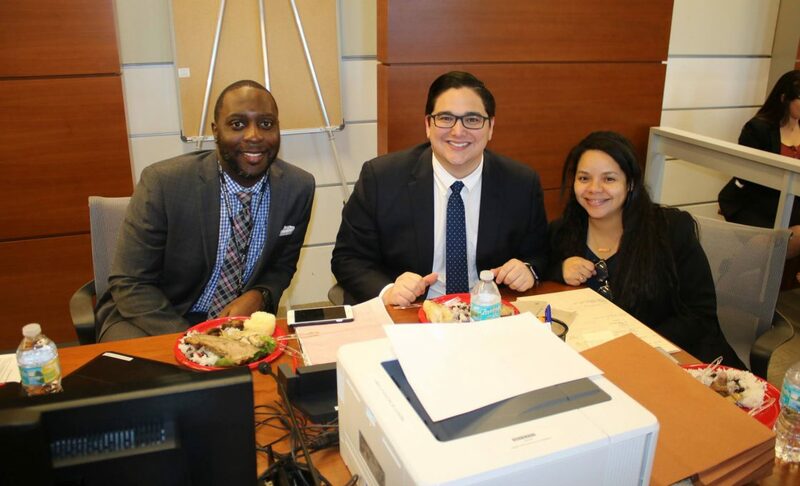 The teams were so good, it was a tie for first place! 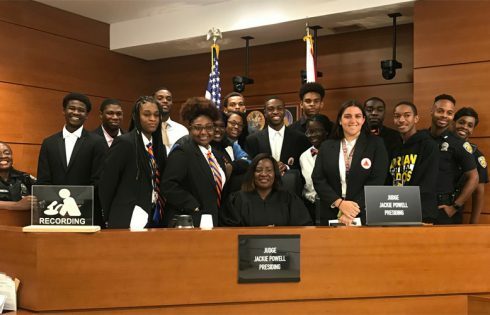 Students representing Stranahan High School’s Mentoring Tomorrow’s Leaders visited First Appearance Court one morning last week. 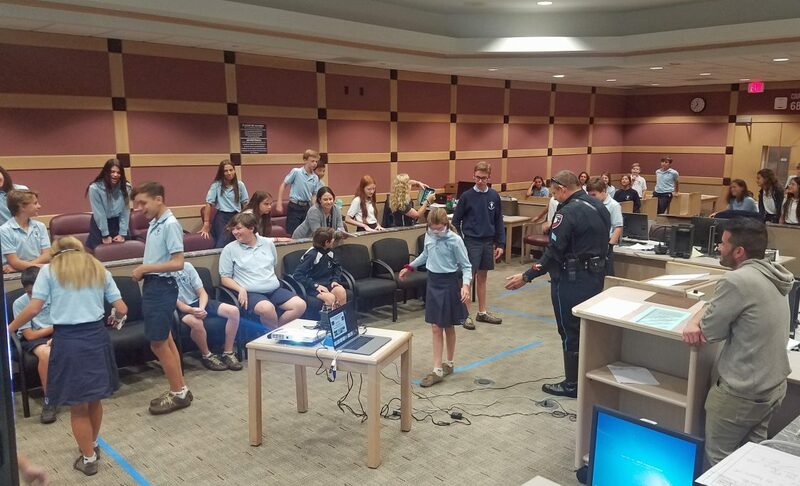 During Judge Powell’s morning docket session, the children observed court and had the chance to sit and talk with the judge. 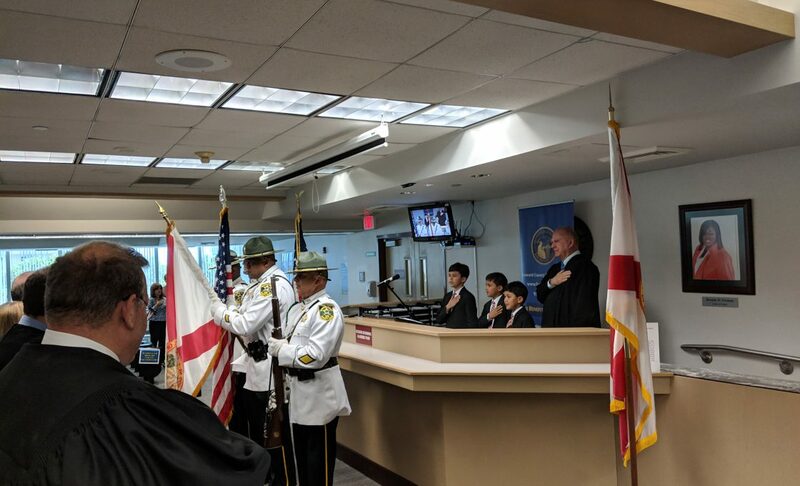 Fort Lauderdale Police Department Officer Johnny McCray arranged the trip and brought some of his fellow officers to visit Judge Powell as well. 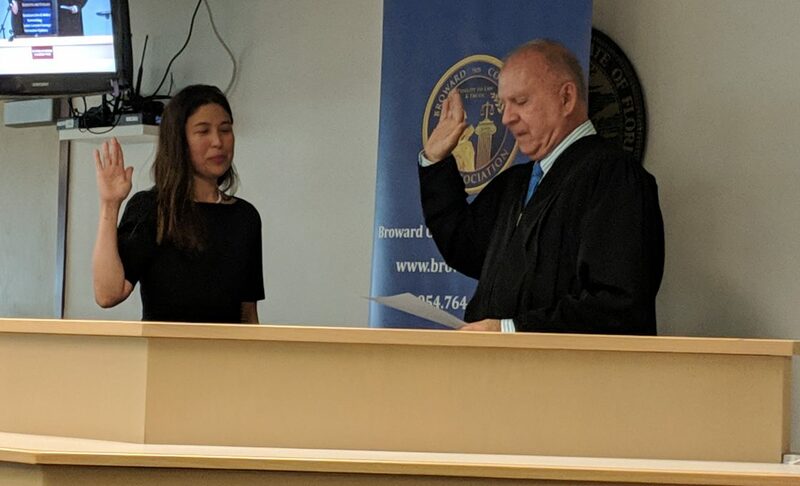 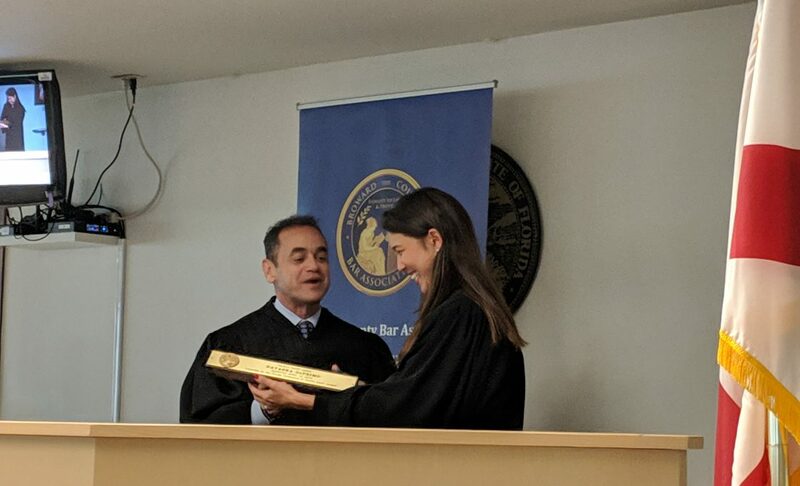 County Court Judge Natasha DePrimo had her investiture ceremony on Friday, April 12, 2019. 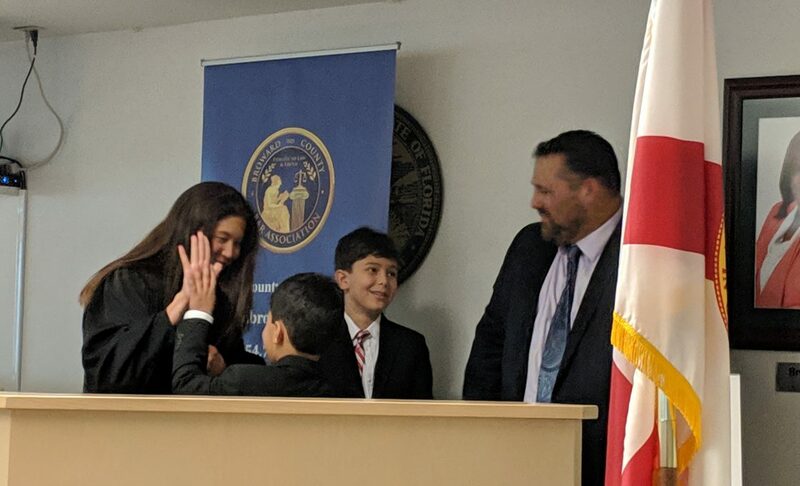 She was sworn in by Chief Judge Jack Tuter, and robed by her husband and three sons. 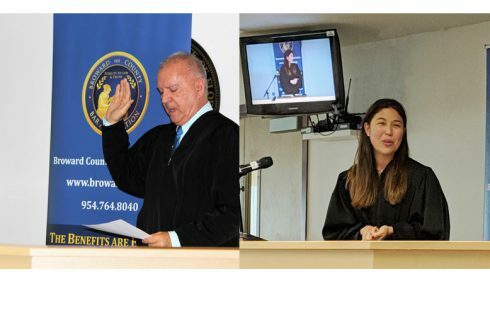 Judge DePrimo presides in the West Satellite courthouse in Plantation, covering civil and criminal county dockets. 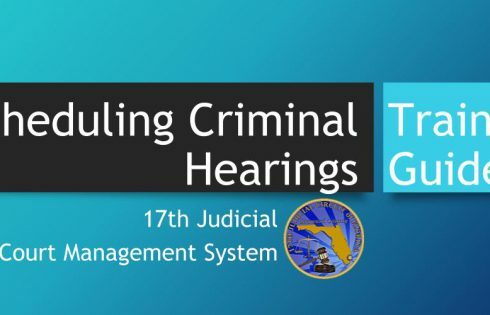 Please be advised, effective April 15, 2019, The Seventeenth Circuit will expand the Pilot Program to allow Self Scheduling of Criminal Hearings for all Circuit Criminal Divisions in the Court Management System. 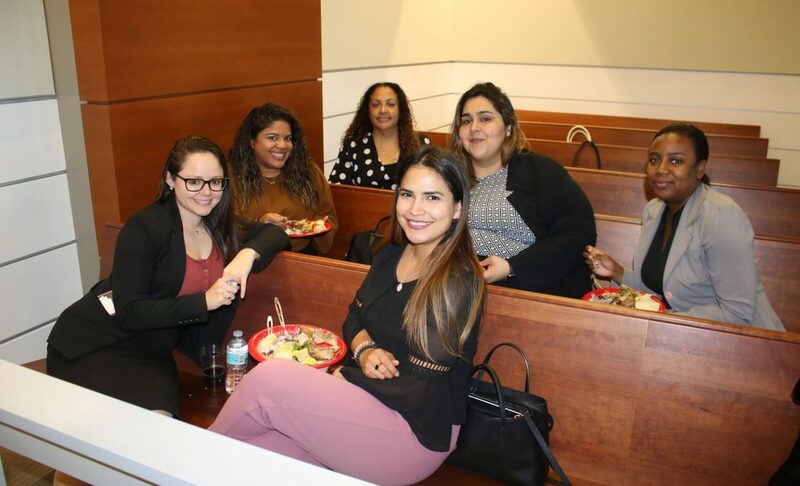 Click the Training Video below to learn more. 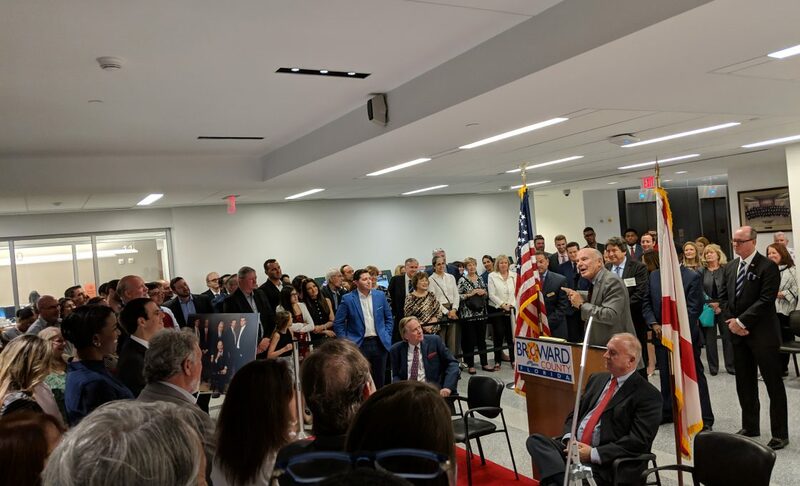 New West Tower Named After Walter G. “Skip” Campbell, Jr.
Last week, April 10, 2019, the new West Building of the Central Courthouse in the Seventeenth Circuit was officially named the Walter G. “Skip” Campbell, Jr. West Building. 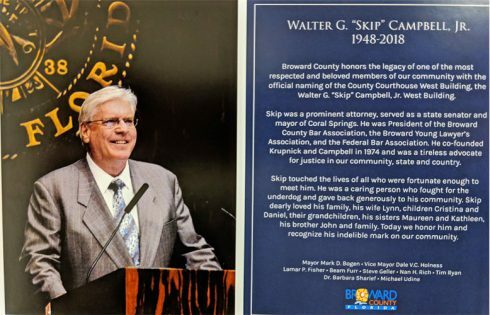 The prominent attorney and pillar in the community passed away in 2018. 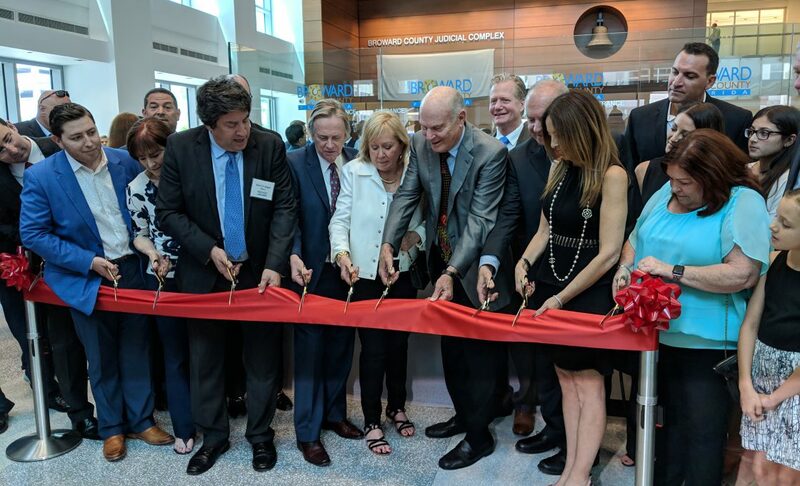 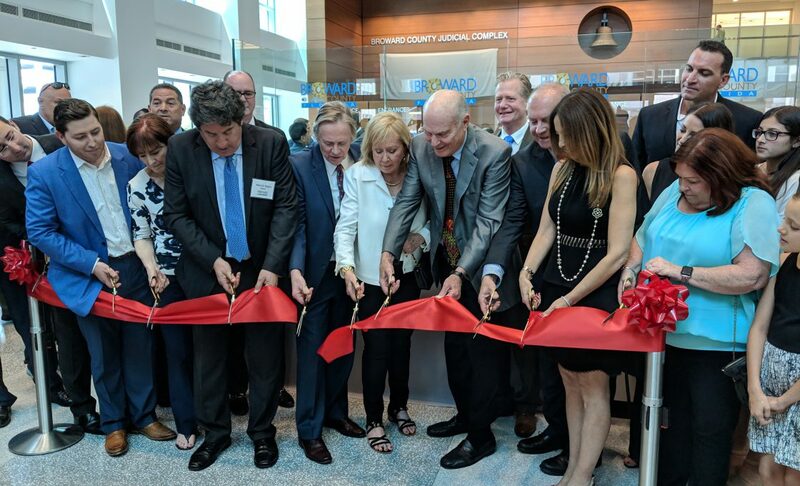 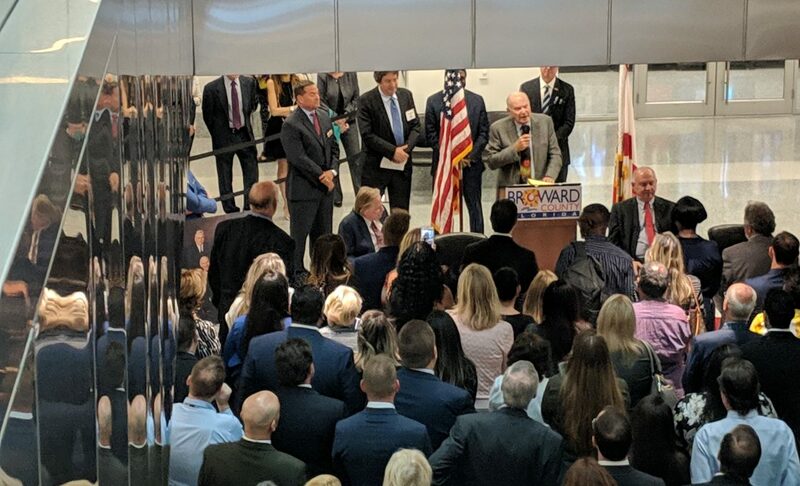 To honor his legacy, the Broward County Commission named the new tower after him.Family, friends and colleagues gathered for the naming ceremony which included speech tributes, a ribbon-cutting, and the name unveiling. 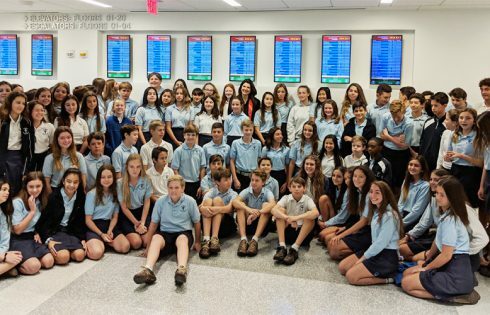 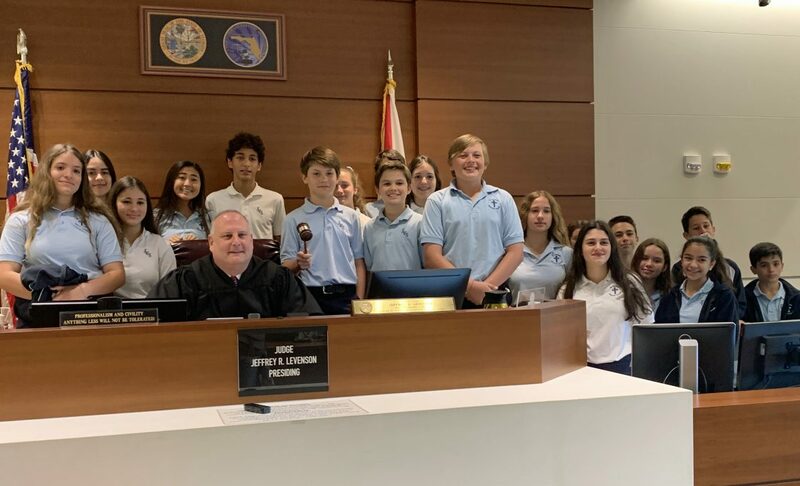 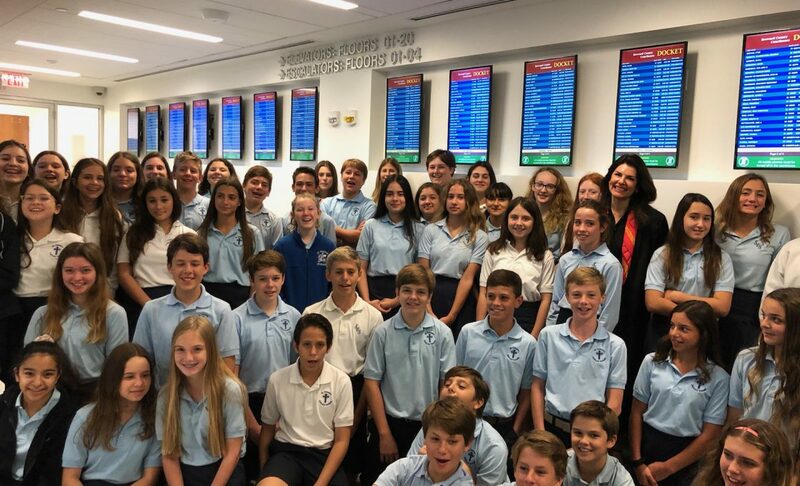 Last week, 100 middle school students from St.Coleman Catholic School spent the morning at the central courthouse in Fort Lauderdale. 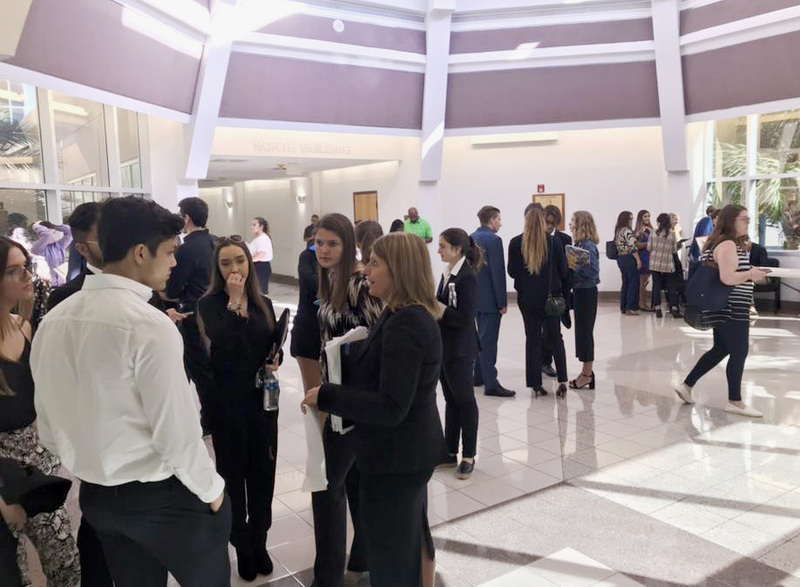 After Judge Tarlika Navarro greeted the group in the lobby, the students went on to watch trials and hearings from 9:30-11 and then engaged in a crime scene presentation and a DUI presentation. 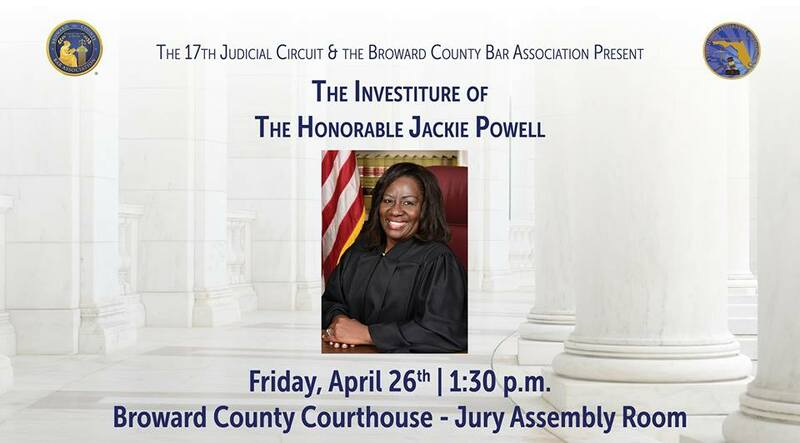 This visit has become an annual event, coordinated by Judge Michele Towbin-Singer. 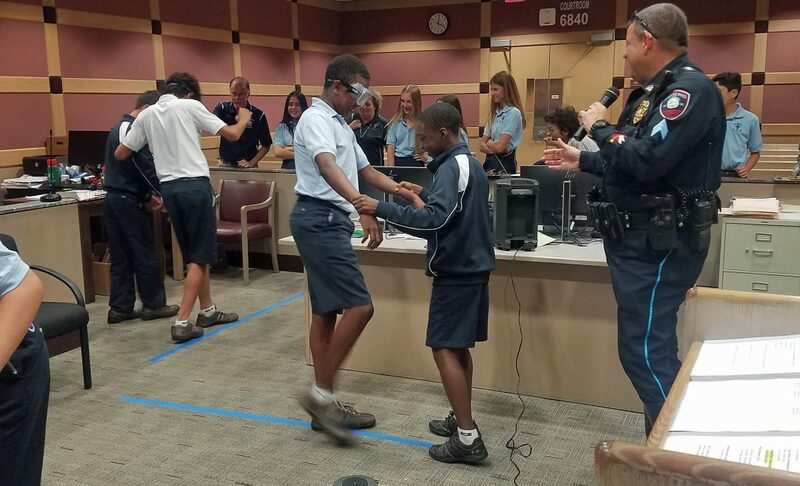 Special thanks to Lewis Defeo and Sergeant John Baker of Pembroke Pines Police and Jose Rada, Executive Director of Broward-Dade Safety Council for the DUI presentation, and BSO Crime Lab technicians for the mock crime scene presentation.